Opposition Labour lawmaker Sadiq Khan is on course to become the new mayor of London and the first Muslim leader of an EU capital, final opinion polls showed Wednesday, despite attempts to link him to extremists. 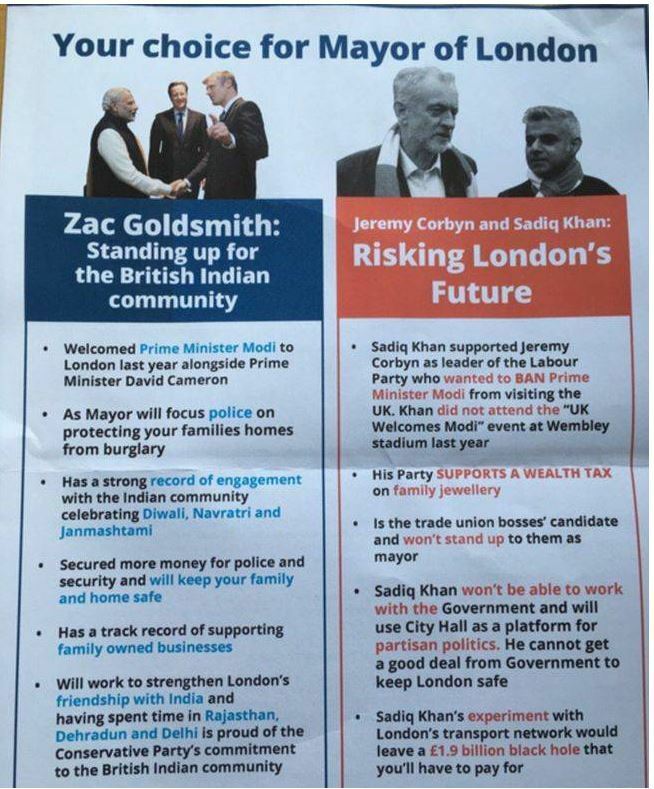 The son of a Pakistani immigrant bus driver has a 12- or 14-point lead over Zac Goldsmith, his multimillionaire rival from Prime Minister David Cameron's Conservative party, according to two polls published ahead of Thursday's vote. In a final campaign stop in a street market in a multi-cultural district of south London, Khan joked with stallholders and their customers and posed in the warm spring sunshine for selfie pictures. But he condemned the divisive nature of the campaign that has seen him repeatedly forced to defend himself against claims that he has failed to condemn Muslim extremists. "I am disappointed that the Conservatives and Zac Goldsmith have decided to have a negative, divisive and increasingly desperate campaign," he told AFP. "Hopefully if I win, I'll be the mayor that unites our city again, that brings communities together." Tensions over the campaign have been exacerbated by a simmering row over anti-Semitism in the Labour party, which exploded last week with the suspension of a lawmaker and former London mayor Ken Livingstone. In angry clashes in the House of Commons on Wednesday, Cameron accused Labour leader Jeremy Corbyn of failing to tackle the problem and attacked both him and Khan for being sympathetic to Islamic extremists. Reviving previous comments by Corbyn referring to the Palestinian Islamist Hamas movement and Lebanon's powerful Shiite militia Hezbollah as "friends", Cameron said Labour was a "party that puts extremists over working people". Corbyn denied he approved of those groups and hit back by accusing the Conservatives of "systematically smearing" Khan, and urging Cameron to tackle racism in his own party, which he suggested was "endemic". Asked about Cameron's comments by a market customer, Khan joked: "He's obsessed with me! The best way to get even is to win". Khan has urged Corbyn to take more action to tackle anti-Semitism in the Labour party, while trying to distance himself from a row that threatens not only his prospects but Labour's showing in other regional elections Thursday. But Khan was embroiled in fresh controversy when footage emerged of a 2009 interview in which he said government attempts to engage the Muslim community could not just focus on "Uncle Toms". "I regret using that phrase," which is often used against black people to suggest they are subservient to white people, Khan told ITV news. "I was wrong and I regret it." Despite the attacks, Khan appears on course to become the next occupant of City Hall, which has responsibility for transport, policing, housing and promoting economic development in the British capital. An Opinium survey for the Evening Standard newspaper put him on 35 percent compared to 26 percent for Goldsmith. His lead lengthened once second preference votes were taken into account, to 57 percent against Goldsmith's 43 percent. A second poll, by ComRes for LBC radio and ITV London news, put Khan and Goldsmith on 45 percent and 36 percent, moving to 56 percent and 44 percent on second preferences. Khan, 45, grew up in social housing and worked as a human rights lawyer before rising to be a government minister -- a back story that contrasts sharply with his rival. Goldsmith, 41, is the son of late tycoon financier James Goldsmith, and an environmentalist and Conservative lawmaker who Labour has sought to portray as out of touch. 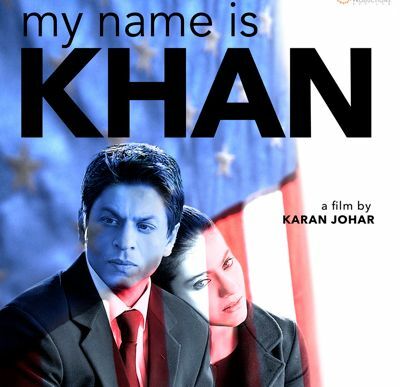 Khan told AFP: "I'm a Londoner, I'm British, I'm of Islamic faith, of course I am a proud Muslim. I'm of Asian origin, of Pakistani heritage. I'm a dad, I'm a husband, I'm a long-suffering Liverpool fan. I'm all these things. "But the great thing about this city is you can be a Londoner of any faith or none and we don't simply tolerate each other, we respect, we embrace and we celebrate each other. That's one of the great things about London." The name rung a bell. This Zac goldsmith is the ex saala of Imran Khan. Looks like his ex Jija is endorsing him. Docji, 'Drags Modi', is a kind of negative statement. The guy is actually invoking Modi and India and is showing that his opponent is against Modi. Means he is valuing India and Modi. Now how does he reconcile both Modi and Imran Khan? I heard this morning on the radio that Khan is leading. Do Mayors have power in other places ? Guess what the favorite movie of this new mayor will be. His call will be. My name is Khan and i am the Mayor. I never understood what a mayor does. Is it like head of municipality? In LOO*, mayor controls school, Pandus, libraries, parks and roads. Again since it is like a presidential kind of a system, mayor has more powers. In Inglistan and des, there is the council. So the mayor may not be that powerful, but at least in Inglistan, council should have a few powers. In Des, the municipalities are technically the same except for pandus, but who goes to municipal schools and parks are meant for beggars and Junkies. Or do I see him push up Khalistan.